Oooh we haven't done bubbles in so long. Must get some. You have got to love bubbles! Girlie fun in onesies... you can't beat it! 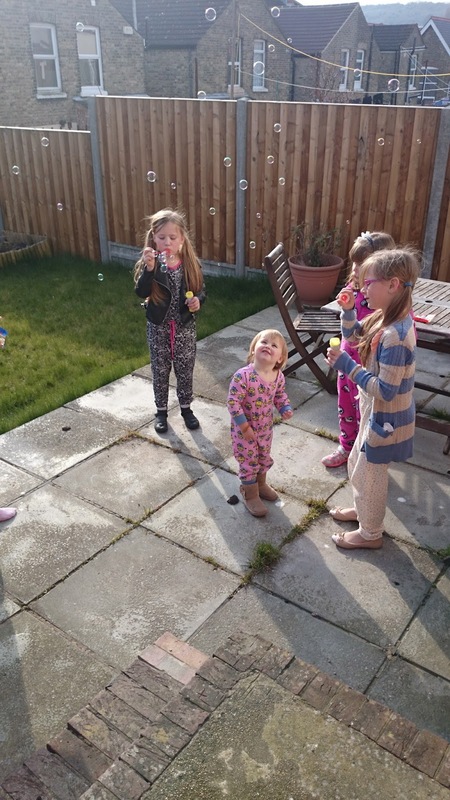 How lovely to capture them all watching the bubbles. Great to be out with no coats on too! Great shot Chantelle. The monkeys love bubbles too!